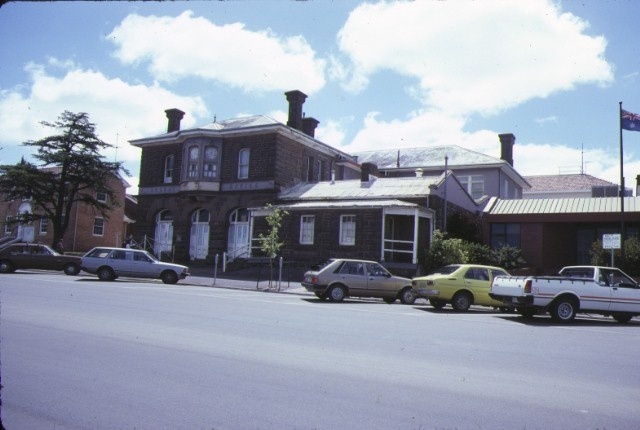 The former Ararat Sub-Treasury and Post Office buildings are outstanding elements in the precinct of government buildings which now occupy the old police camp reserve. 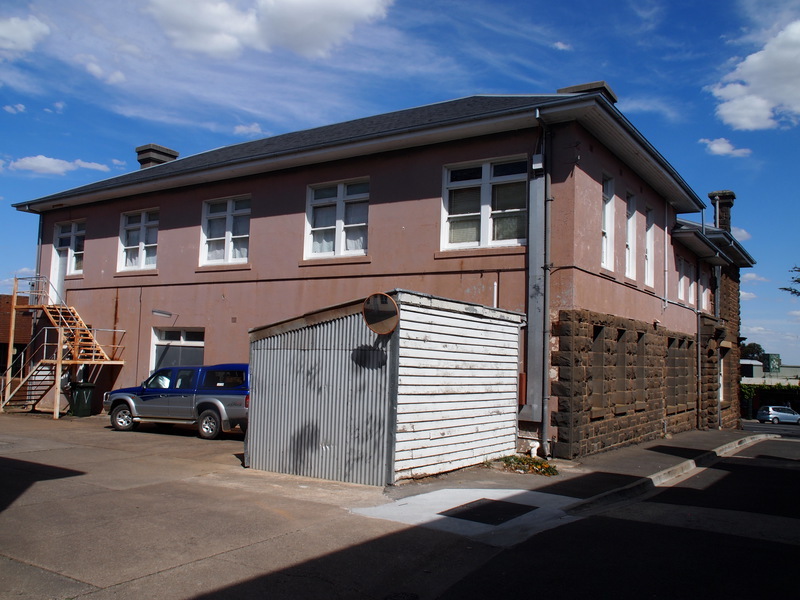 The former Sub-Treasury is one of the oldest buildings in Ararat and the last remnant of the old Ararat police camp to survive in its original position. It was an important element in the administration of the Ararat goldfields. The building exhibits one of the finest designs executed by the Public Works Department in its early formative years. Its finely executed solid stone construction, restrained decoration and massing, skilfully articulate the functions and importance of the building's components and reflect the highest ideals of early colonial design. 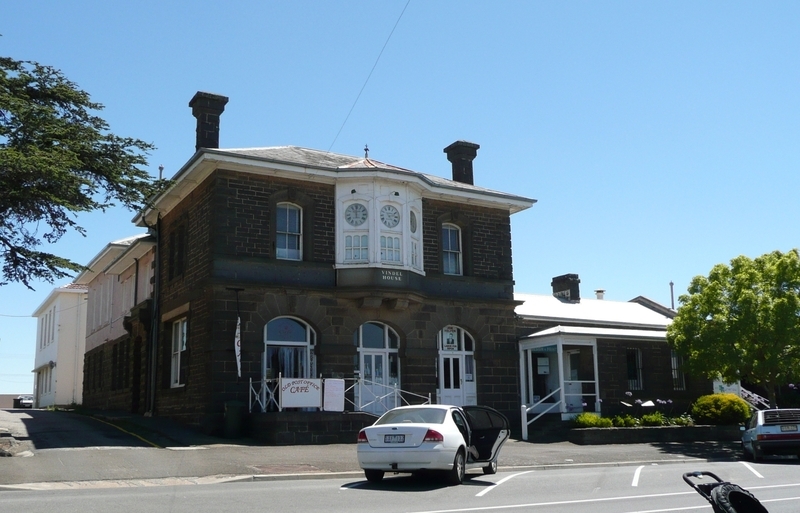 The former Post Office provided services to Ararat from 1861-1979. 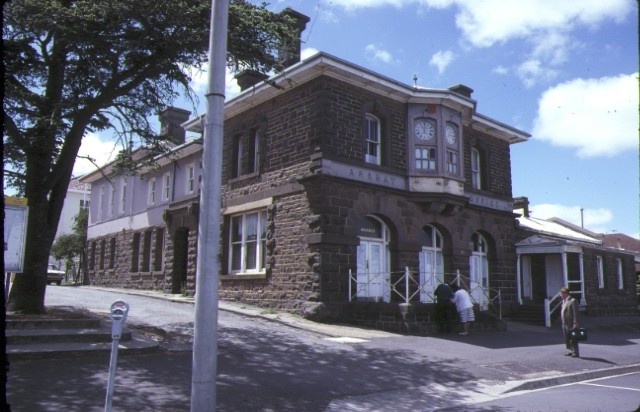 It is one of the earliest surviving post office buildings in Victoria and of this is one of the most intact. 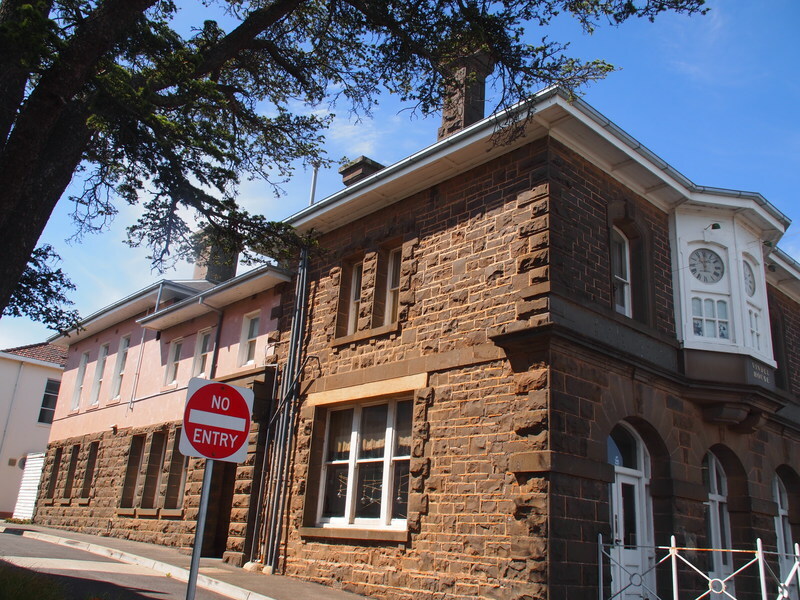 The building marks the beginning of a very significant change in design attitude by the Public Works Department, most probably initiated by the appointment of WW Wardell to the post of Inspector-General and Chief Architect on 1st January 1861. 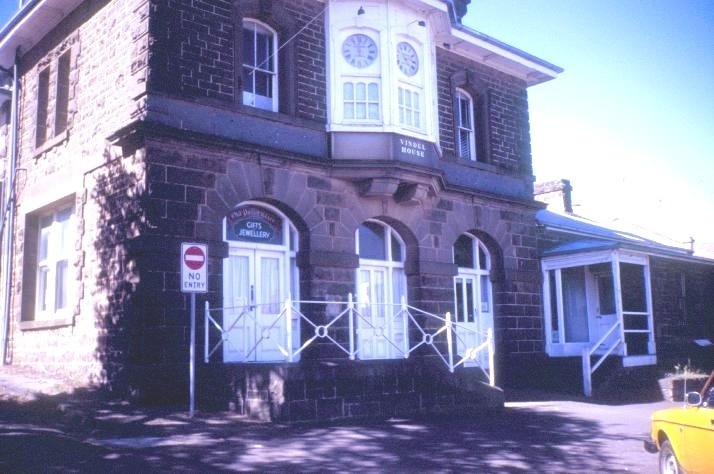 It is the first post office designed in the Italianate style, a style which in later years was widely used in post office architecture. 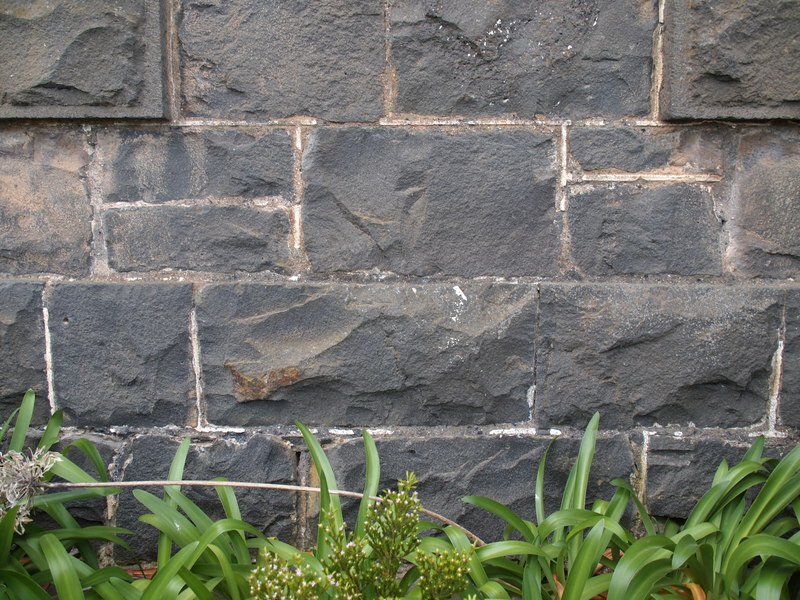 The Post Office is constructed of superbly worked local bluestone with rusticated walls and dressed stone mouldings; few post offices in Victoria are finished in this manner and even fewer exhibit stonework of this quality. The arcade to the street facade with its robust voussoirs and the unique first floor oriel with its three-faced block are distinctive features of the building. 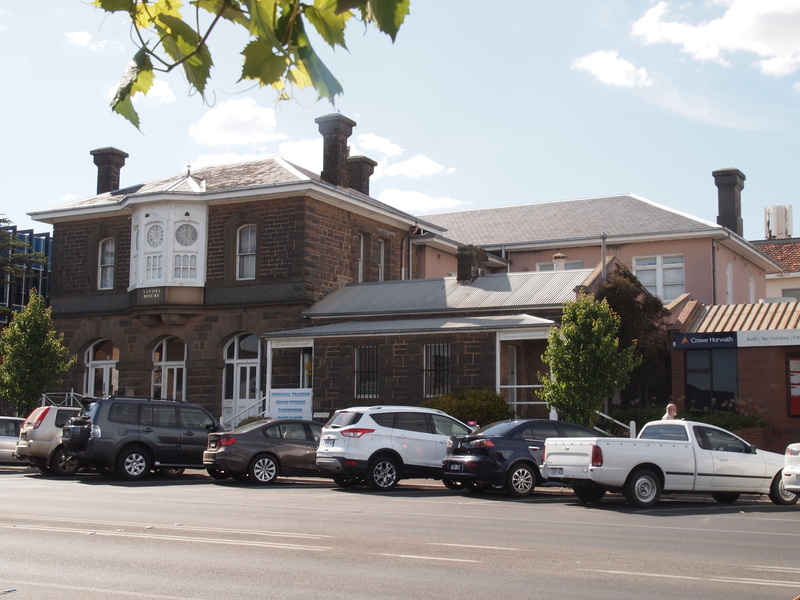 Both buildings are most important features of Ararat and together with the neighbouring Police Station and Court House form a significant group. 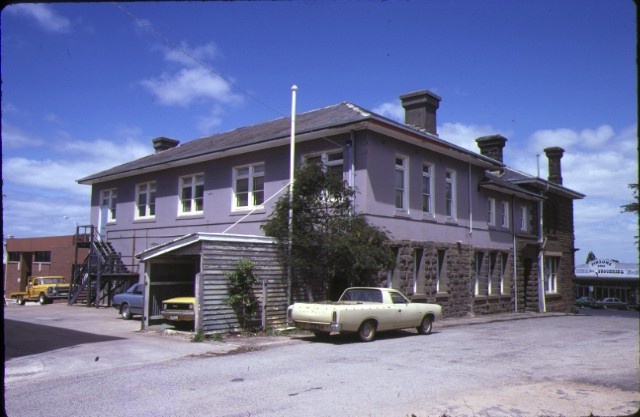 The Barkly Street elevation, comprising the principal facades of the former Sub-Treasury and Post Office, is largely intact from the original dates of construction. The subsequent addition of the three-faced clock oriel bay of 1889 is also intact. The eastern and western facades of the building shows forms that are an aggregate of original, altered and added elements. These elements are generally intact from the date of their addition or alteration. Internally the building complex bears little resemblance to the original plans, with many walls removed and many areas added. Historic Building No. 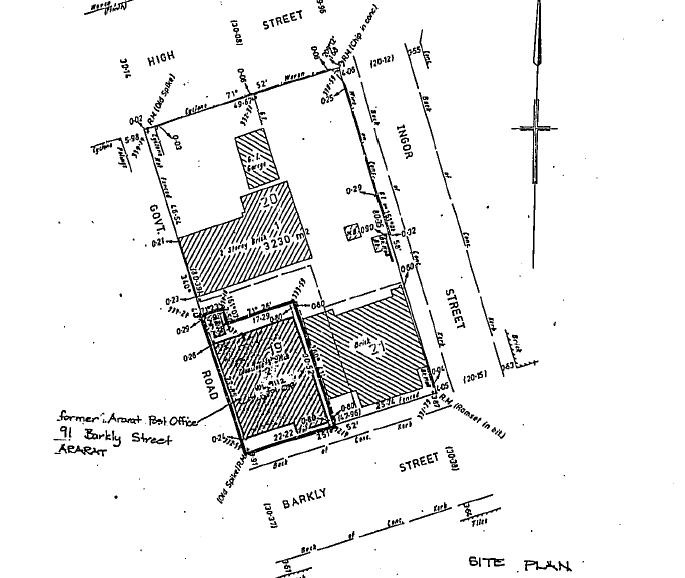 618, former Ararat Post Office, 91 Barkly Street, Ararat, (to the extent of all land and buildings entered in the Register Book as Volume 9112, Folio 018).